I spend about six months of every year out in the world exploring, living and working. I travel a lot and I’ve gotten pretty darn good at finding ways of making my travels easier, more affordable and therefore more enjoyable. 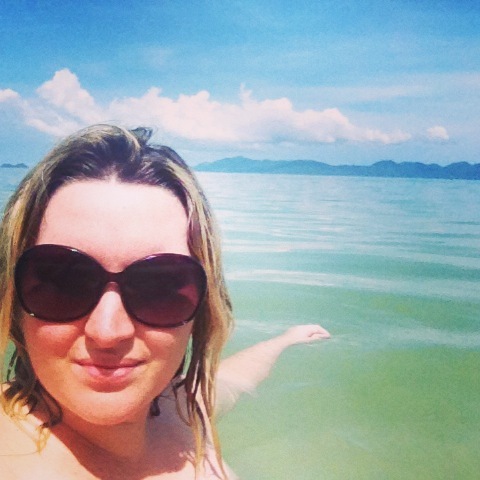 You may already know me as the chief blogger over at Flashpacker Family. I’m still blogging there but will focus Flashpacker Family on chronicling our family’s travels, sharing the best things to do in a city with kids and dishing out tips on travelling with children. What is Go Click Travel all about? I started Go Click Travel because I’m passionate about helping people travel smarter. Finding new ways of making travel cheaper, better or easier is what really gets me excited. I love sharing all my travel tips and tricks on how to find cheaper flights (whether they’re on budget airlines or in business class), looking for loopholes to cut costs on car hire and finding the best bang for your buck when booking hotels. I’ve done all the work so you don’t have to. Just search the site, read the posts and you’ll be on your way to a fantastic trip for a fraction of the price. Smart travel is all about making wise choices when it comes to your travel spending. These tips and tricks can be applied by travellers at any budget level and on any length or type of trip. Whether you’re a budget backpacker looking to stretch their dollar further, a luxury traveller looking to trim costs so you can travel more or you just want to plan a great holiday on a budget… every post on this site can and will help you! I hate paying full price for and rarely ever have to. Follow me and I can show you how to save money and travel smarter!